Scandal-rocked FIFA has sought to scrub up its image by bringing in ostensibly disinterested outsiders to fill oversight roles. Here, Steven A. Bank argues that internal whistleblowers are in fact better suited to improving the organizational culture that led to FIFA’s corruption. Although the 2018 World Cup in Russia is currently dominating the headlines, a black cloud remains over the Fédération Internationale de Football Associations (‘FIFA’), the tournament’s organizer and soccer’s global governing authority. In 2015, in what has been called ‘the World Cup of Fraud’, more than forty individuals associated with FIFA were indicted in the U.S for fraud, bribery, and money laundering involving hundreds of millions of dollars and stretching back for over two decades. In response to this ongoing scandal, FIFA has undertaken a series of reform measures in the last several years. Most of these reforms have focused on attempting to break the cycle of corruption among football insiders by bringing in more outsiders. FIFA created the Ethics, and Audit and Compliance Committees, each headed and staffed by individuals deemed independent under FIFA rules. It also mandated that at least half of the members of a number of committees, including Governance and Review, Finance, Development, and the Compensation Subcommittee of Audit and Compliance, be comprised of independent members. FIFA President Gianni Infantino even went a step further than required, appointing someone with no ties to the sport at all, Fatma Samoura of Senegal, to the position of Secretary-General. This push for more independent oversight is straight out of the pages of the U.S. corporate governance reform playbook. For years, increasing the number of outside directors has been a go-to reform in the context of publicly-held corporations. The theory is that since outsiders are ‘disinterested’, in the sense that they do not work for the company, they are able to approach potential conflict situations such as awards of executive compensation and decisions whether to pursue change-in-control transactions with a neutral perspective. The problem is that outsiders can be co-opted, either by social norms against making waves or by an interest in actively participating in improper activity themselves. Although some studies have shown that they help guard against the kind of managerial expropriation that can occur when shareholders are too numerous and dispersed to monitor the managers themselves, others are more equivocal, pointing out that outsiders have unique disincentives to investigate in these situations. ‘Whistleblowers’ had better access to information and were more dedicated to FIFA’s mission to foster the development and growth of the sport than any outsider would be, but they often did so at great personal and professional sacrifice to themselves. The case for outsiders is even weaker in an organization such as FIFA. As a non-profit, there are no shareholders that could theoretically guard against the co-option of outside directors. It does have member associations that vote in the FIFA Congress, but they are often ill-equipped to serve in a monitoring role. Many are themselves corrupt or woefully disorganized. For those that are not, FIFA’s ability to favor or punish one individual member nation or region over others with respect to hosting rights or development grants inhibits them from speaking out. 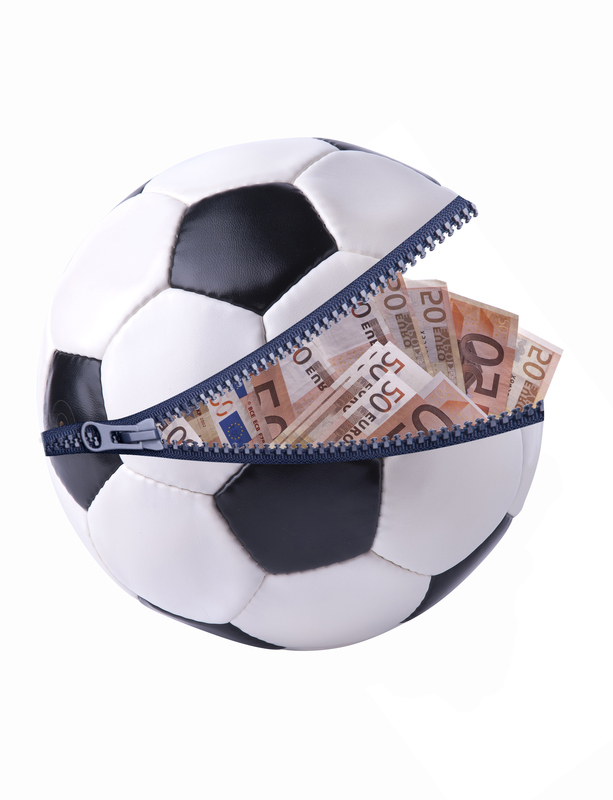 Moreover, FIFA does not have donors that often act in a similar role in U.S. non-profits, and Swiss oversight is still considered lax and ineffective despite recent reforms. Even if outsiders may be beneficial in U.S. public corporations, they have not had much of an effect as of yet in FIFA. While problems relating to the old regime continue to surface, such as excessive compensation arrangements for former executives, disclosures from the Panama Papers that officials may have used transactions to funnel ill-gotten funds through offshore accounts, and fresh revelations of corruption among old-guard football officials, new problems have emerged. Mr Infantino, elected president on the heels of former president Sepp Blatter’s suspension from football for improper payments, has already been subject to investigation for ethics violations of his own. Perhaps in response, he pushed through a resolution enabling the Council to remove members of FIFA’s supposedly independent committees. This led Dominic Scala, the independent chairman of the Audit and Compliance committee, to resign. FIFA subsequently ousted the independent chairs of the investigatory and adjudicatory branches of the Ethics Committee and the chair of the Governance Committee, prompting several remaining members of these committees to resign in protest. In my working paper ‘Reforming FIFA from the Inside Out’, I argue that rather than focusing on bringing in more outsiders, FIFA should harness the power of insiders. Although one of the most prominent witnesses in the indictment of over forty individuals and organizations became an informant only after being caught himself, many others at the international, regional, and national levels voluntarily came forward. These so-called ‘whistleblowers’ had better access to information and were more dedicated to FIFA’s mission to foster the development and growth of the sport than any outsider would be, but they often did so at great personal and professional sacrifice to themselves. 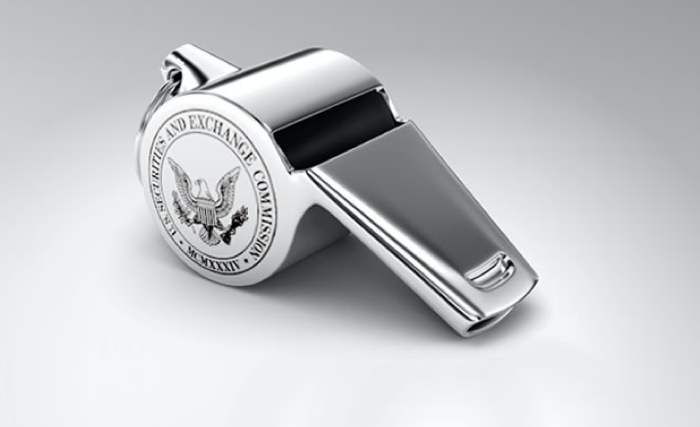 By adopting a whistleblower program that potentially includes some combination of rewards and retaliation protection, FIFA may be better able to incentivize others to step forward, while at the same time signaling the embrace of an internal form of accountability. This may have more potential for beginning to chip away at the organizational culture that led to FIFA’s corruption than removing a few so-called bad apples has done thus far. Steven A. Bank is the Paul Hastings Professor of Business Law at UCLA School of Law. Experts: Financial Rewards and Protections Are the Best Way to Incentivize Whistleblowers Does Whistleblowing Work? 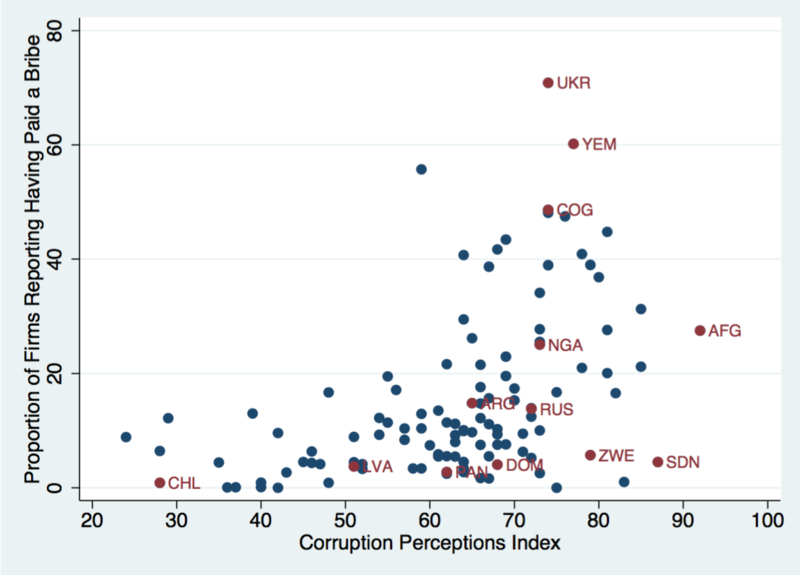 ProMarket Graph: Is There a Correlation Between Perception Measures and Reported Levels of Corruption?